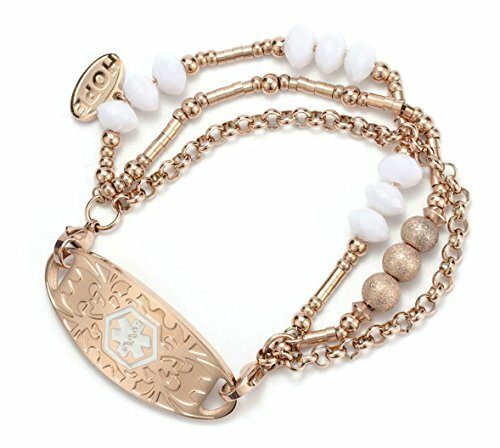 The bracelet with our Rose Gold Tone Gardenia Medical ID Tag, It is a striking rose gold tone medical ID bracelet. 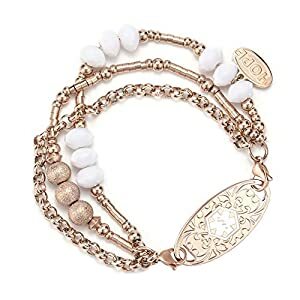 Featuring three complementary strands of chain and beads, this eye-catching medical alert is adorned with Swarovski crystals, rose gold beads, pearls, and stardust accents. 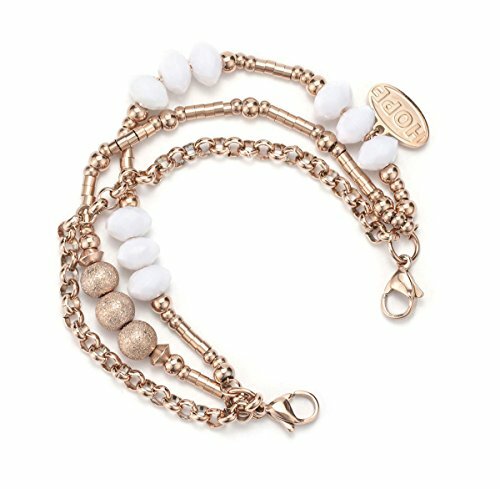 Finished off with our signature Hope charm, this Hope exclusive design pairs perfectly with any interchangeable medical ID tag and is suitable for everyday wear including hand washing and bathing. 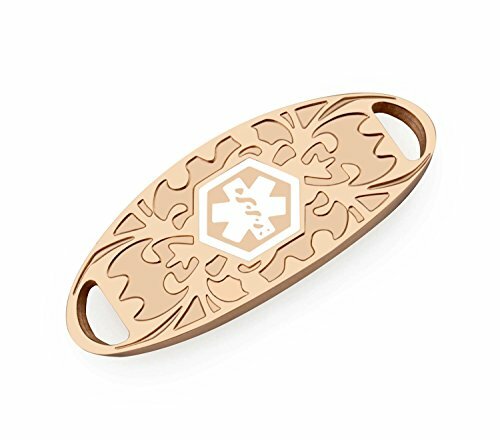 MATERIAL: stainless steel plated rose gold,Fashion and medical alert jewelry combination FREE ENGRAVING: we use laser engraving, in the medical tag on the back to provide 3 lines carving IMPORTANT: We offer free engraving for this product. Please click" customize now" fill in your engrave information then "add to cart". 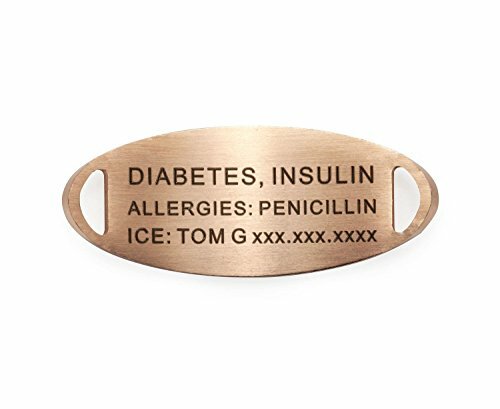 We will get your engrave PEOPLE WITH THE FOLLOWING CONDITIONS SHOULD WEAR A MEDICAL ID JEWELRY:Diabetes,epilepsy,autism,allergies,coumadin,waffarin,heart diease,pacemaker,asthma,COPD,stroke,cancer,multiple sclerosis,dialysis lung disease,ADD/ADHD,Alzheimer's,high blood pressure, children with special needs etc. PACKING AND AFTER-SALES: It comes with a blue velvet bag,a medical alert card,Please contact us directly if any quality problems or shipping problems. We are here to resolve any problem for you. If you are pleased with the product please share your review in product page.